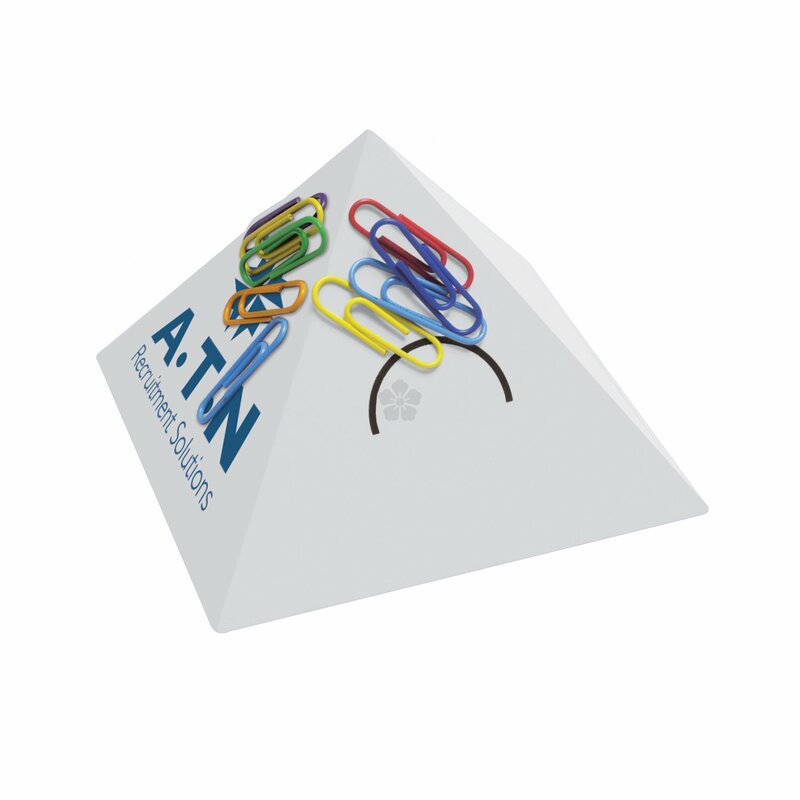 Keep your desk tidy, and clutter free, with our personalised Paperclip Pyramid. Printed with your design to 1 side as standard, each of the four sides are magnetic! 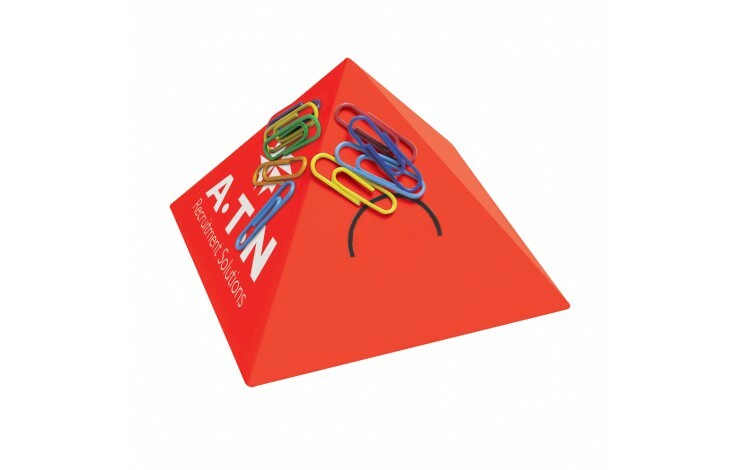 The White Pyramid is held in stock in the UK for a quick turnaround, however Black, Red and Blue colours are also available from 500 pieces. Supplied individually boxed. 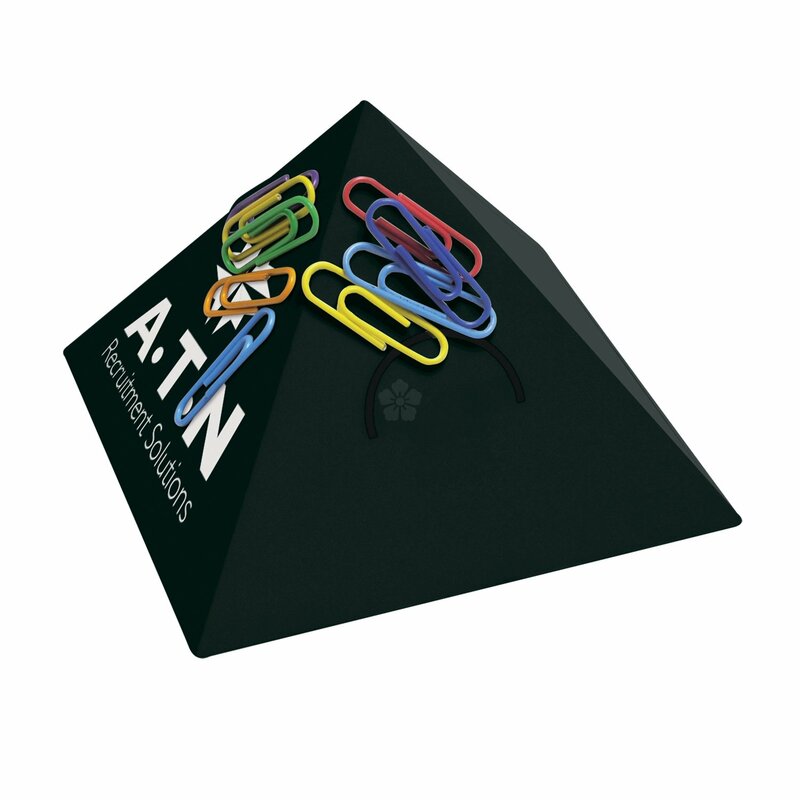 Also comes with a pack of coloured clips to get you started! Why not brand all 4 sides in order to maximise your brand exposure! 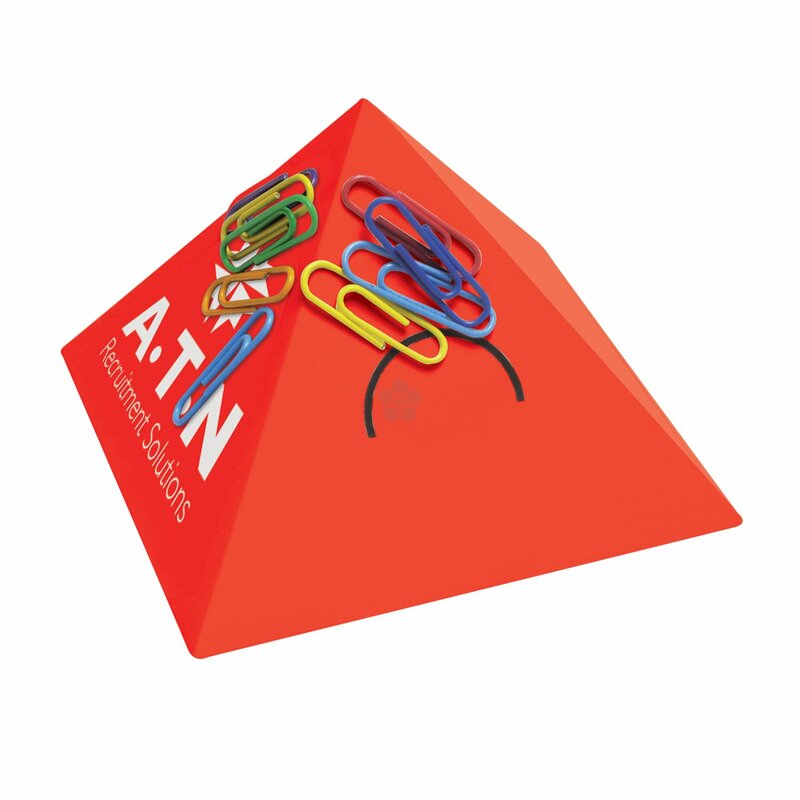 Four magnetic sides for a tidy desk! UK stocked for a quick turnaround. 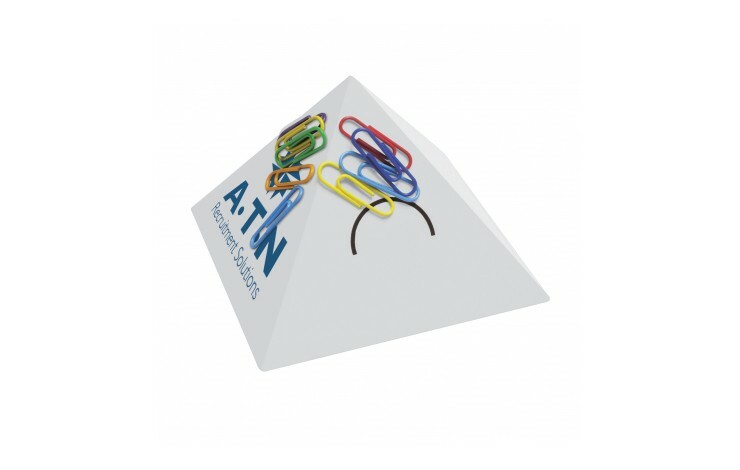 90 x 90 x 90mm.